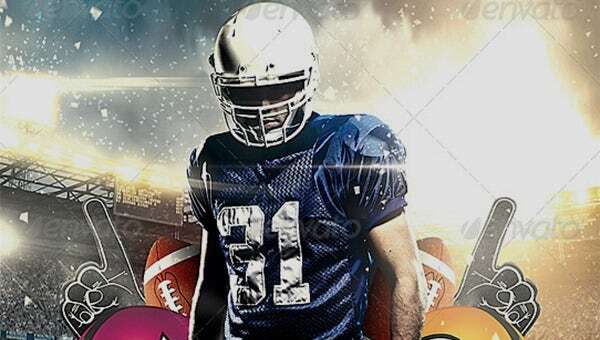 Football is a sport that has crazy fans all over the globe. 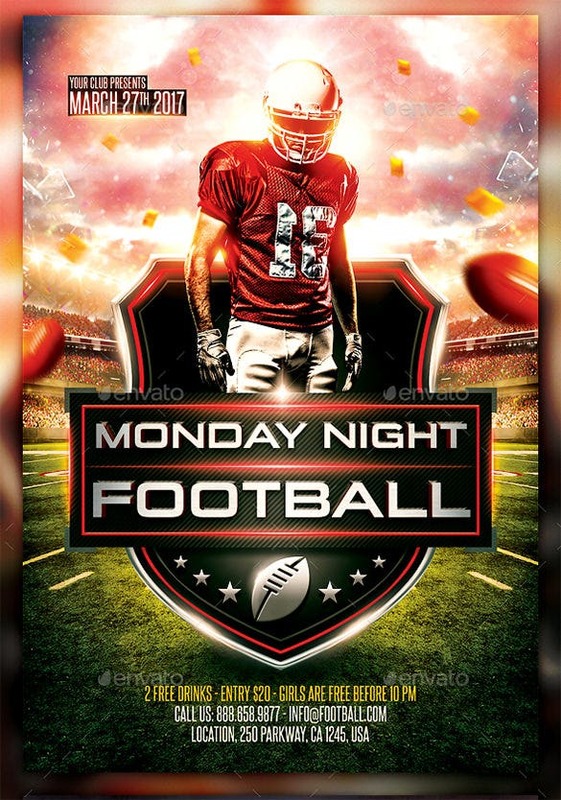 People are obsessed with watching the sport, playing it, playing it as a video game and even playing it on their smart phones. 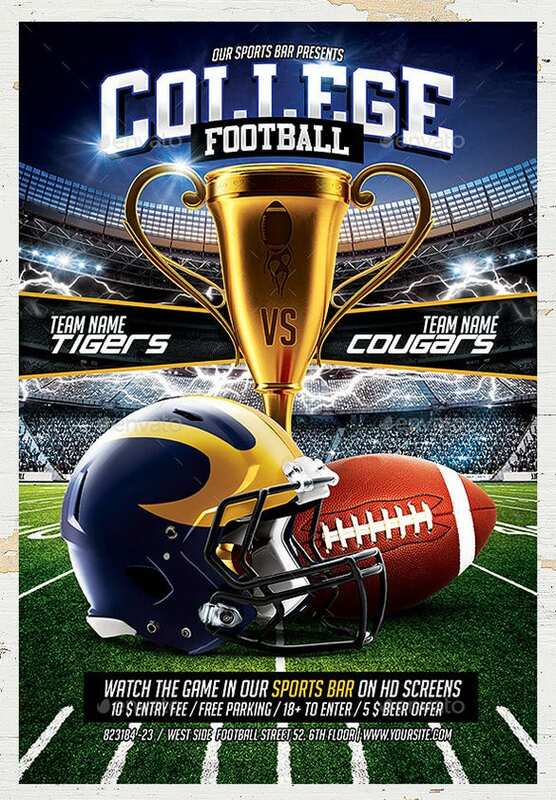 If you are looking to host a football match in your community or neighborhood or even announce the arrival of a new football video game, we have the perfect sports flyer template for you. 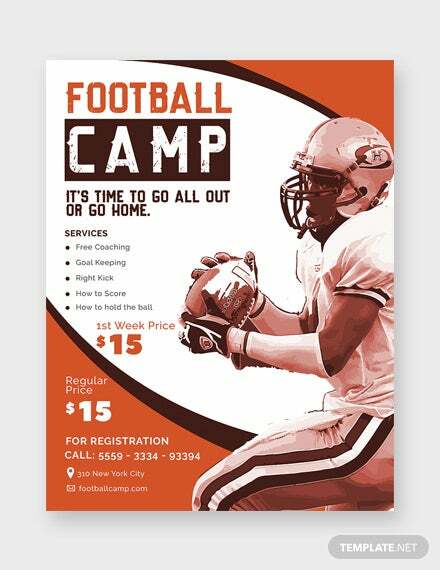 You may also see flyer samples. 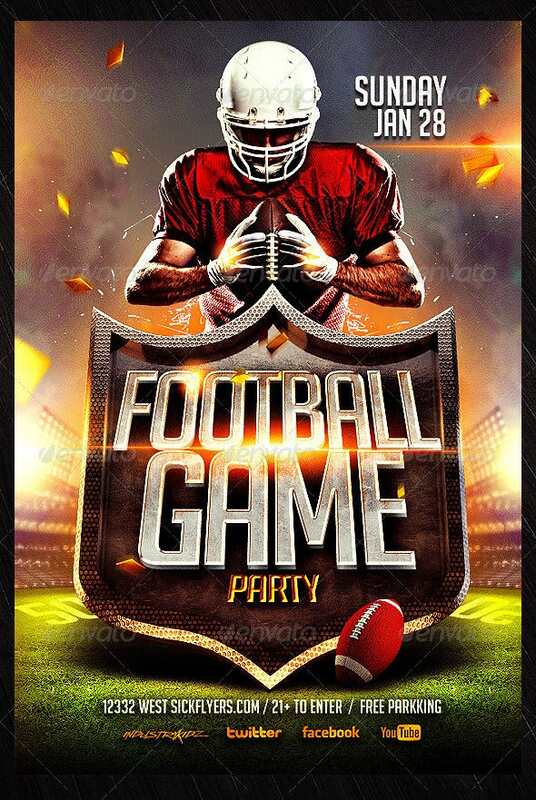 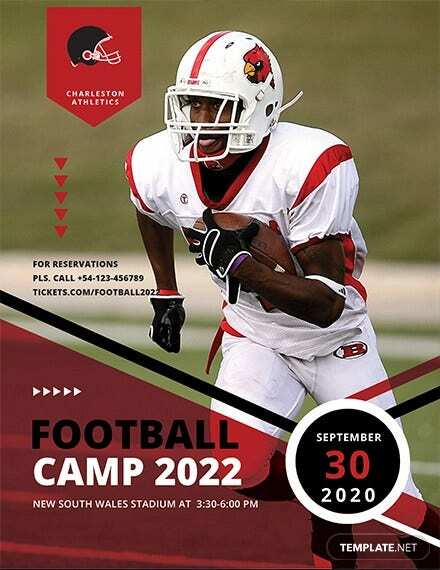 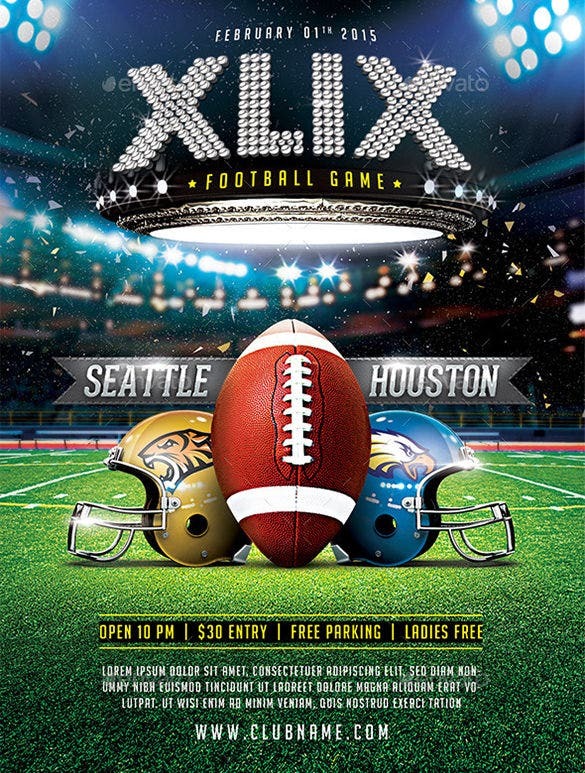 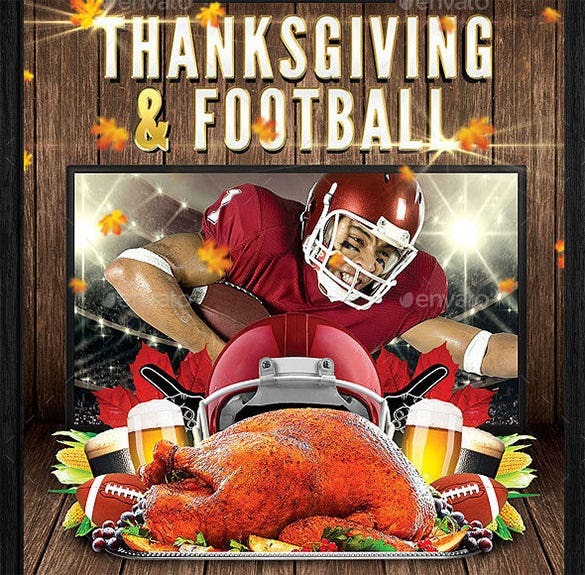 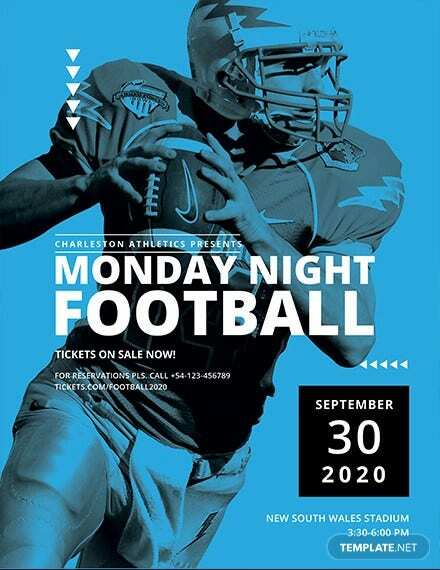 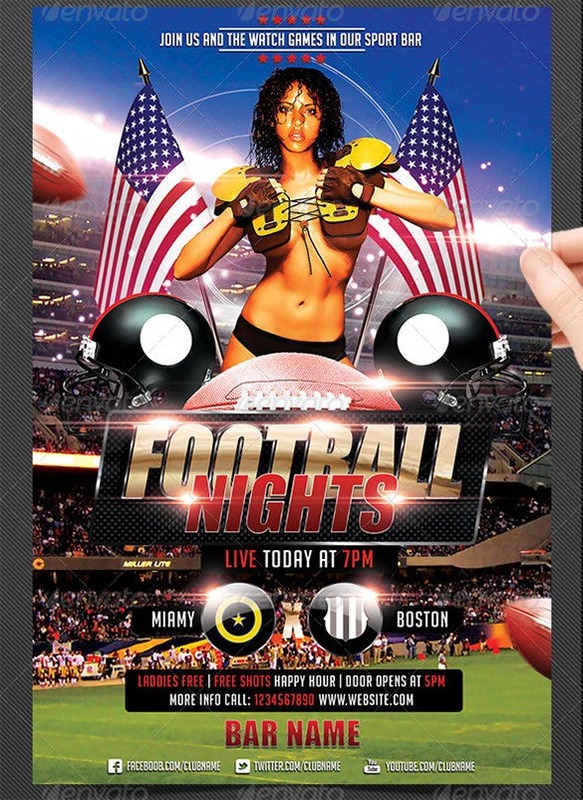 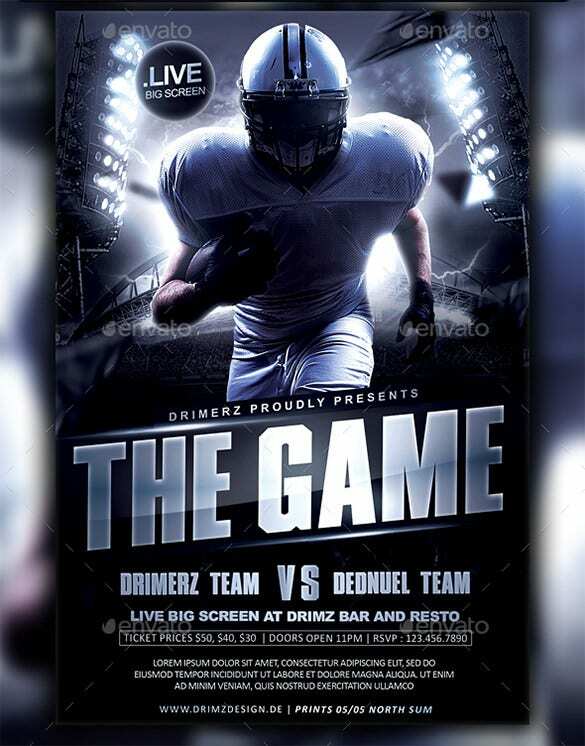 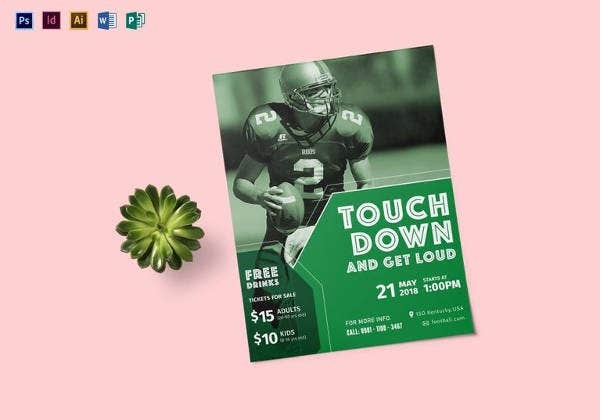 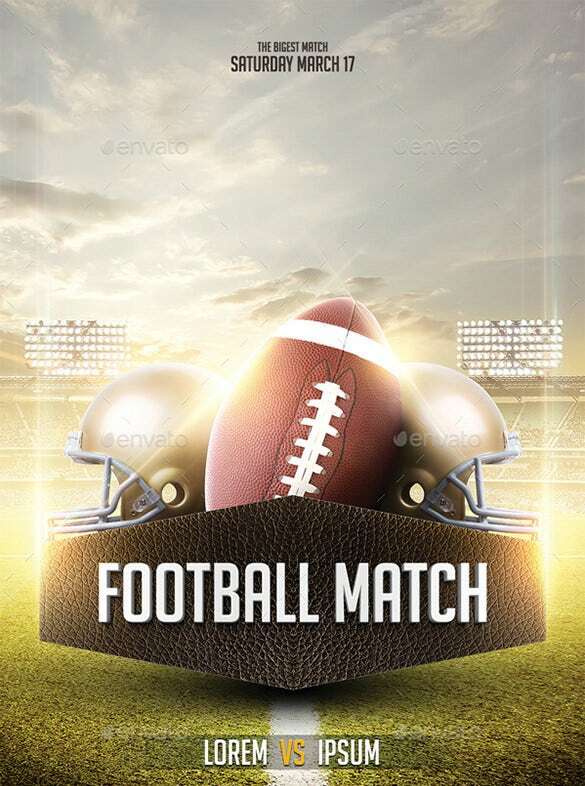 The football flyer is a beautiful and gorgeous looking football flyer that uses the visual effects to create a stunning digital image that can be availed for only $ 6. 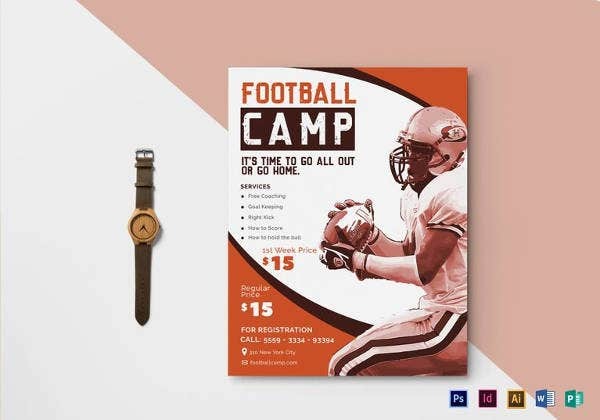 The football and soccer flyer is a superbly designed awesome looking flyer that provides a football and a soccer flyer that can be used by anybody who is organizing a local tournament. 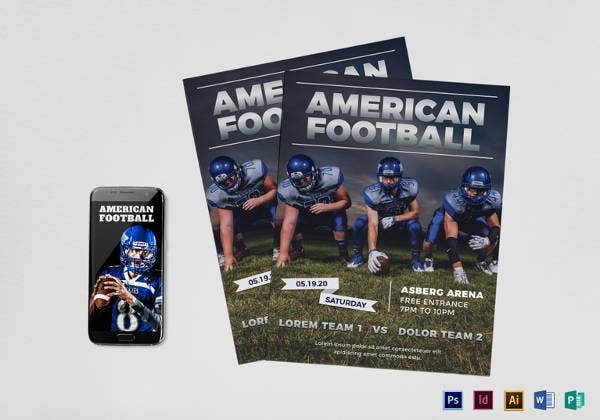 The football flyers is an awesome looking football flyer that uses bright colors, and stunning visual effects to create a perfect football flyer that you can avail for only $ 11. 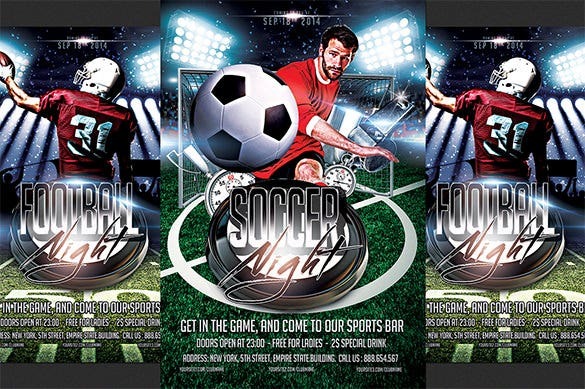 Soccer tournaments need publicity and promotion. 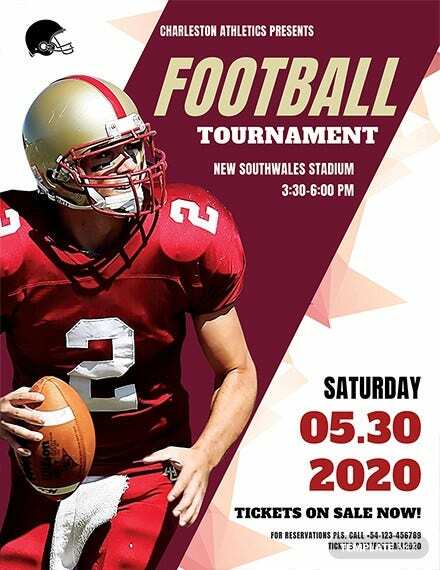 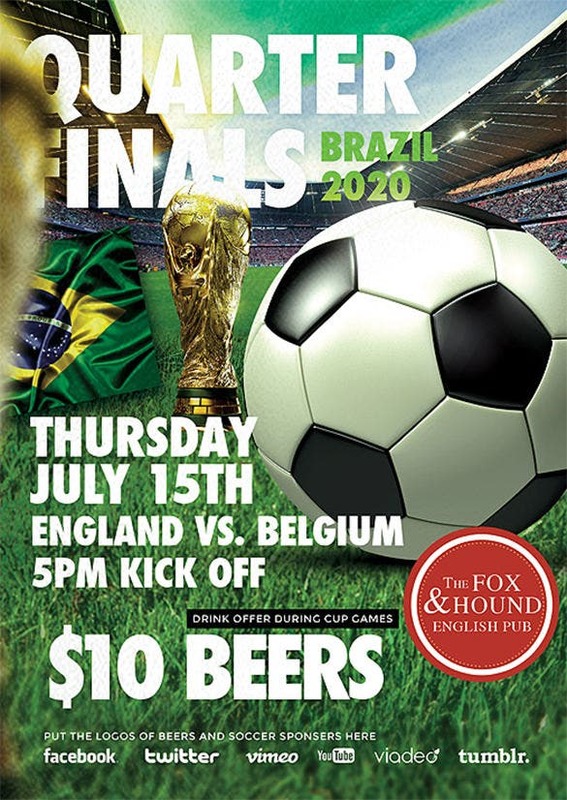 To find a suitable flyer design is sometimes a challenge, but not when you’ve got a football flyer template such as this one. 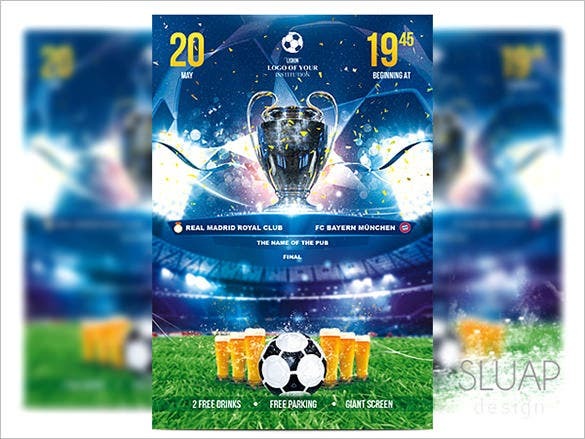 The Champions Soccer template is powered with all the artwork and other important elements, and so it can easily become the flyer-choice for any soccer tournament. 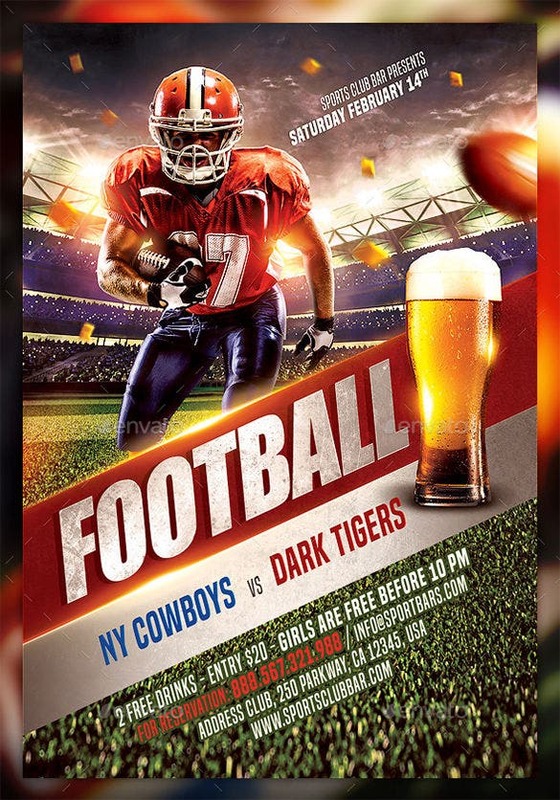 The football flyer fully layered is a beautifully designed dark themed football flyer that looks really good and brings out the energy and emotions which makes this sport one of the best. 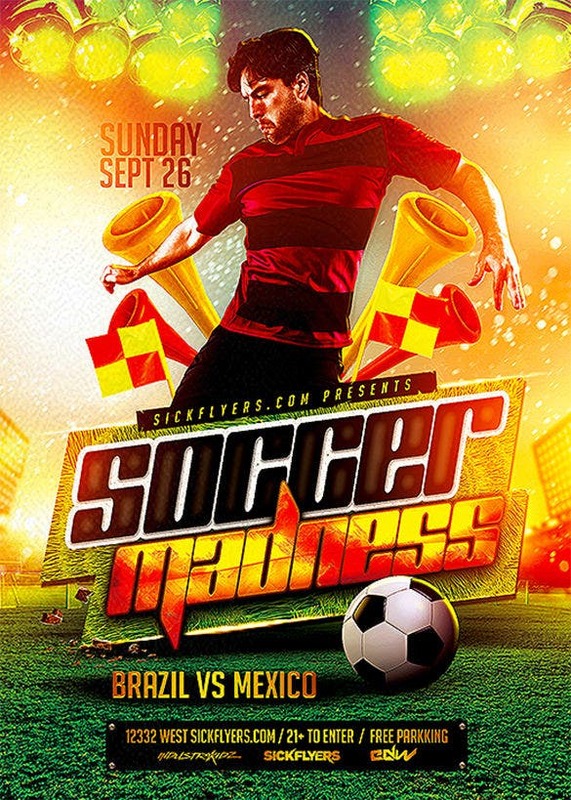 The soccer madness flyer template is a gorgeous looking soccer flyer that uses stunning visual effects to create a masterpiece of a soccer flyer ready to represent the local tournaments. 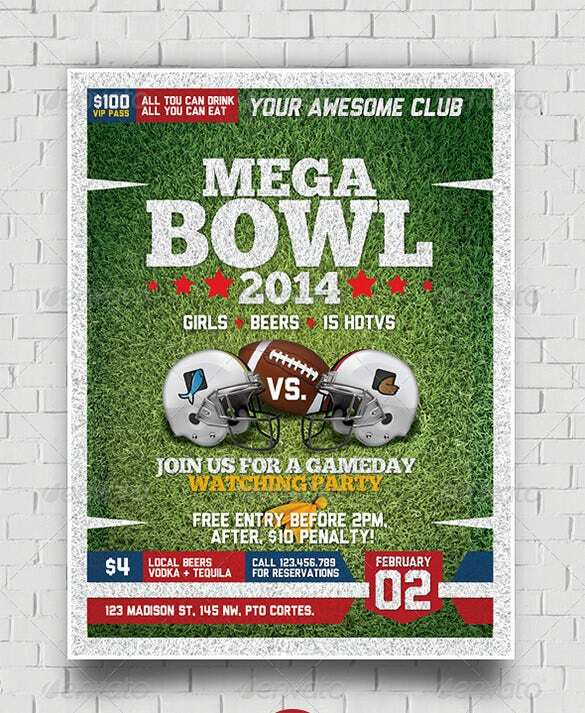 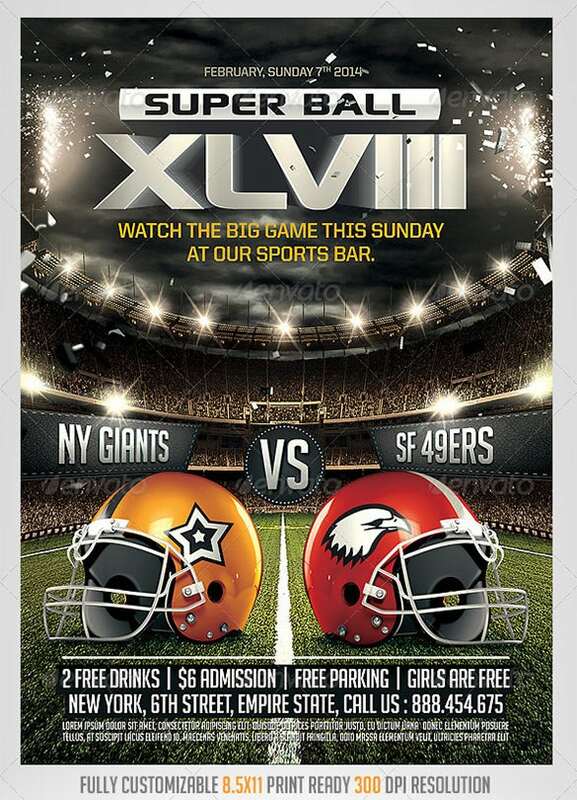 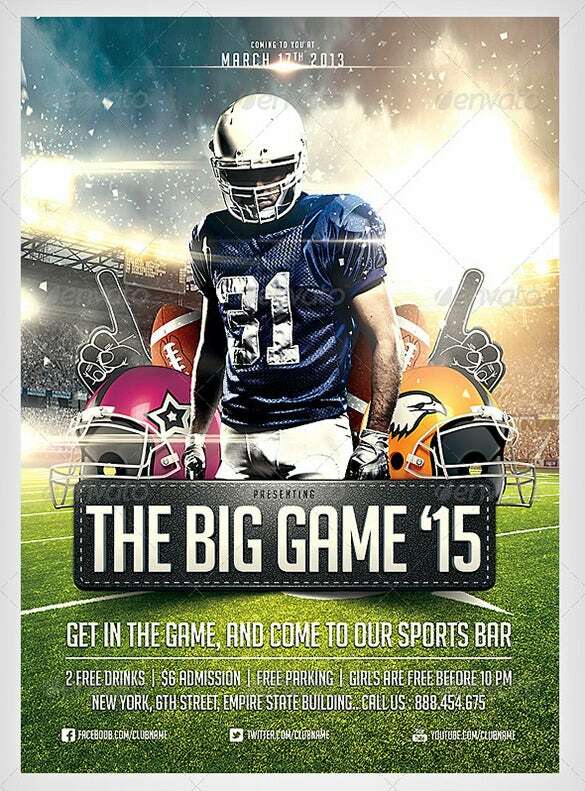 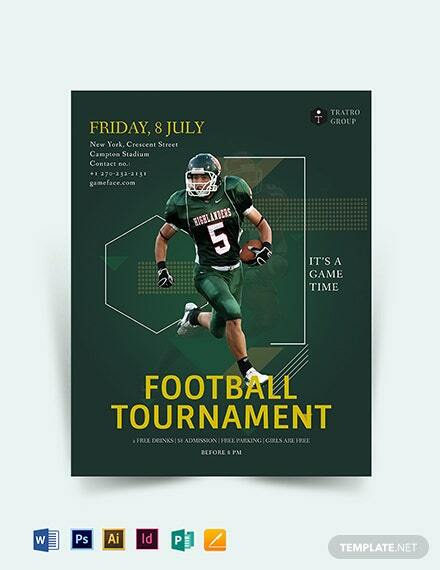 Our football flyer templates are available in numerous formats including JPG and PNG. 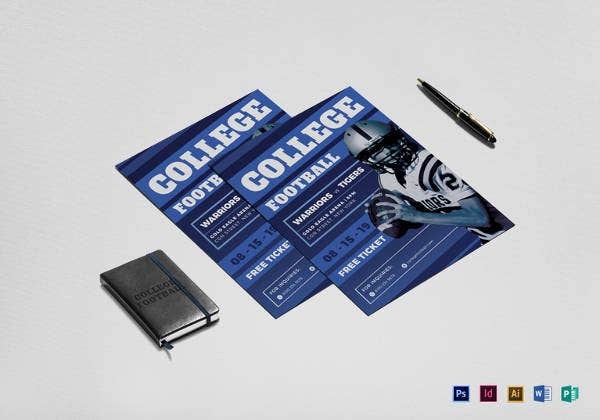 They can be edited as per your requirement. 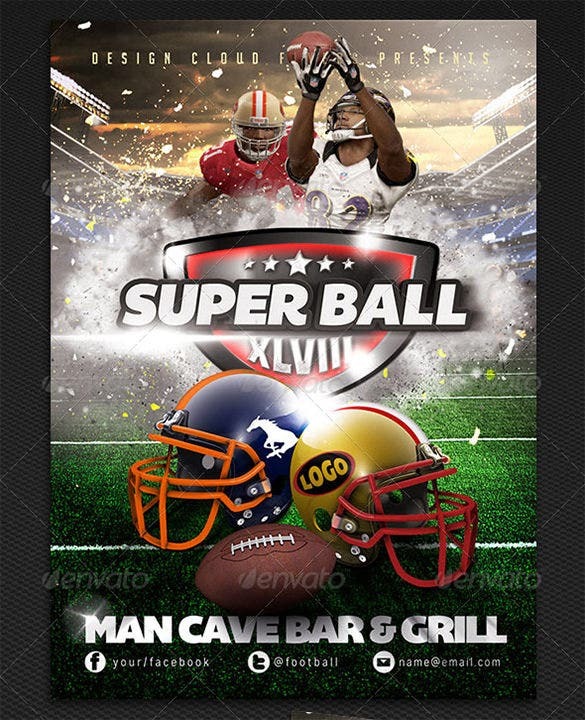 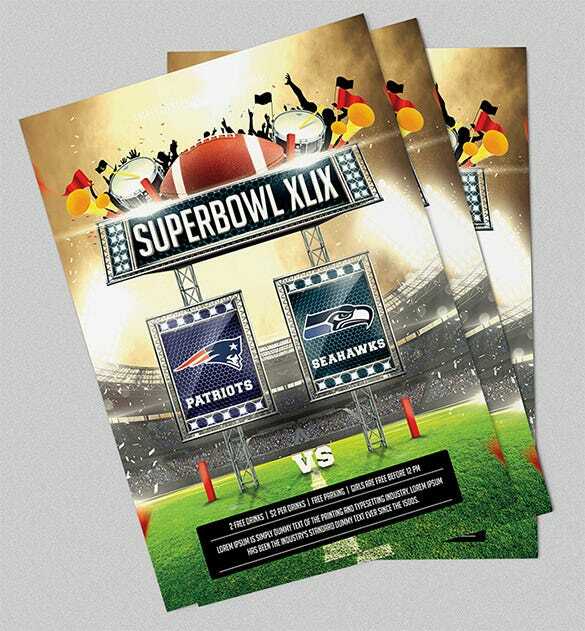 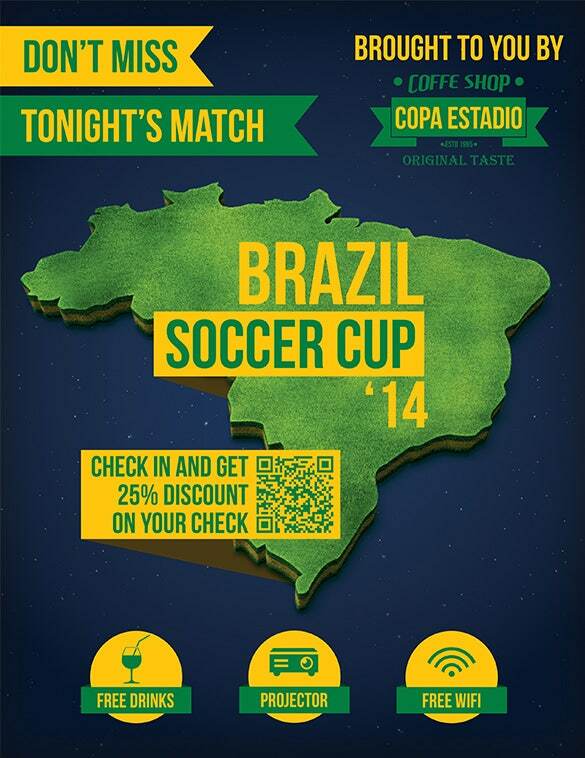 These templates are vibrant, colorful and have logos and backdrops of footballs and football stadiums on them.